Got A Child Growing Faster Than A Beanstalk? This Brand's Adjustable Apparel Can Keep Up! The Nadhi is a slow fashion brand that designs functional, fun, and liberating children's clothing that can be adjusted to fit every time they hit a growth spurt. Have a child that just doesn’t seem to stop growing? Especially when you buy them a new outfit that you spent quite a bit on. The Nadhi has created a clothing line specifically for the wonder years (where you wonder how they grow so fast) of your child’s life. Using natural fabrics like cotton, linen, and silk, The Nadhi makes functional clothing for children and teenagers, and to a large extent, they are gender neutral too. 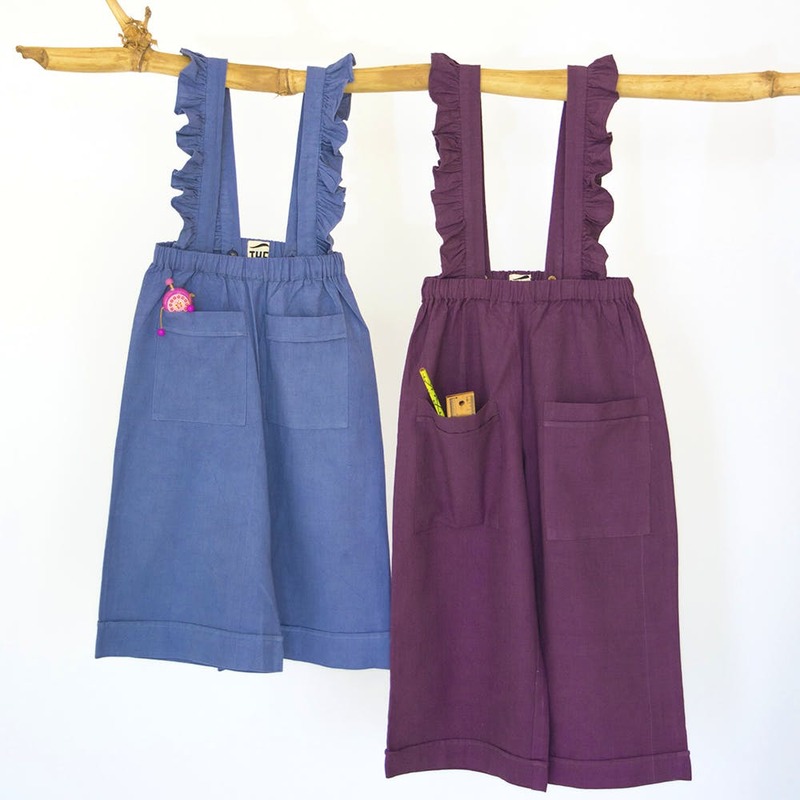 Overalls (or dungarees, however you know them), pinafore frocks, skirts, and cape tops among others, and they're all relaxed fit. Going for solid colours and basic patterns if at all, the designs strays away from having too many embellishments, because how are you going to climb trees if you’re fidgeting with your outfit right? For more festive options, check out their silk collection which is understated yet classic. And since everything is made to order, there’s no way you, or your child will hate anything! It's really slow and comfy fashion, so don't worry about the investment. How do the children not outgrow them you ask? Well the clothing (not the children, obviously) is designed with tucks of extra fabric, buttons with adjustable straps (with hooks) and and lots of bows and tie-able options too. Basically, whether they’re growing in height or girth, it can be adjusted. And the great news is, they’ll design for adults too! Just give them your (waist and bust) or your child's (based on age) measurements and they’ll have you (or your tot) sorted in about a week. Since everything is made to order, it would’ve been ideal to have an actual studio so everyone can get a look and feel of things before they place an order. And they’ll be able to take the measurements themselves if needed. They ship across the country and take international orders too!